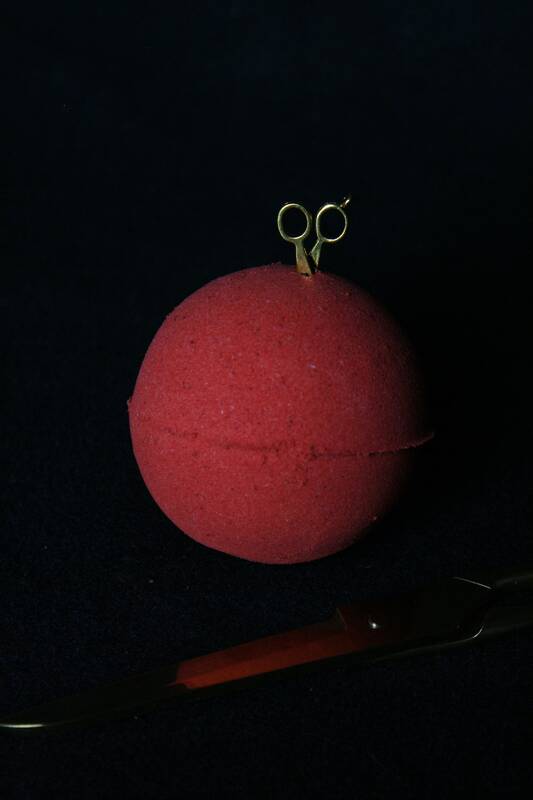 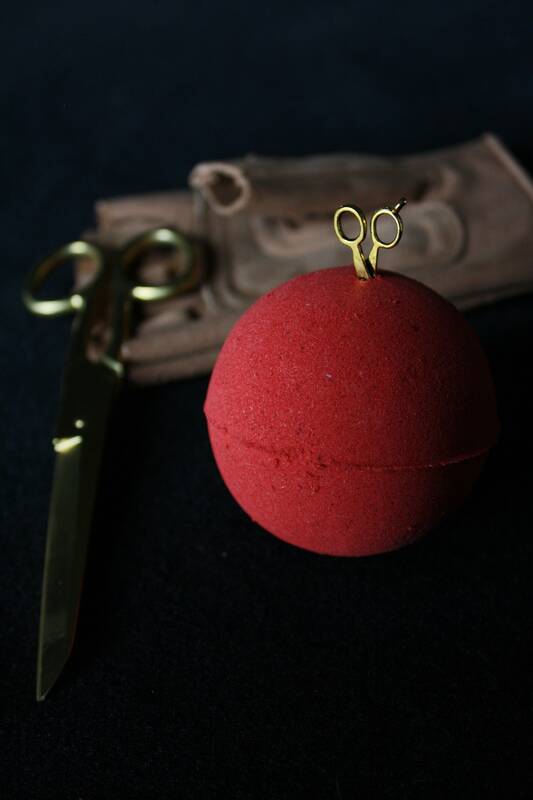 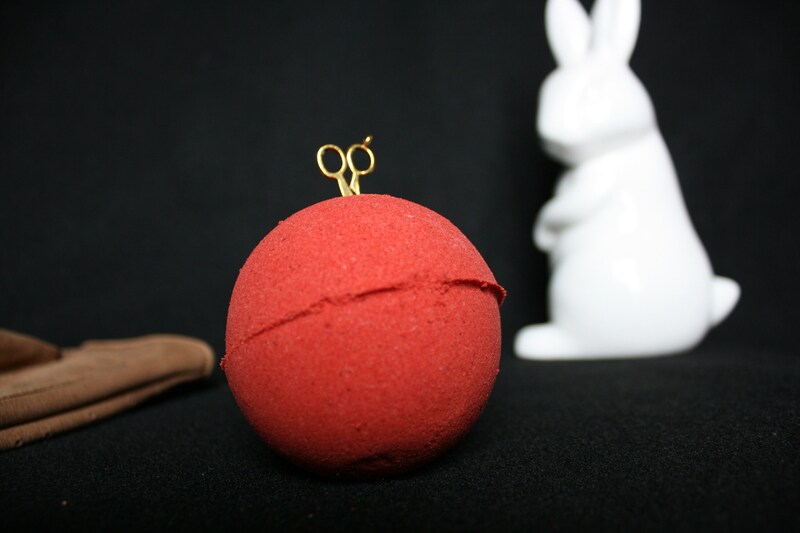 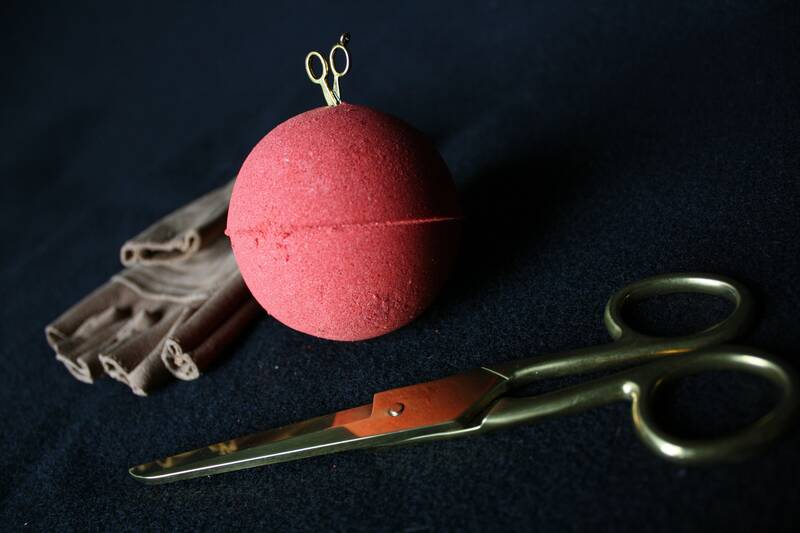 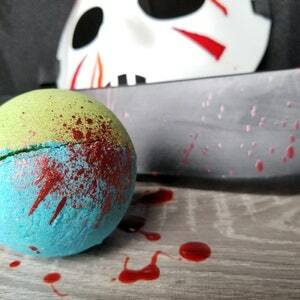 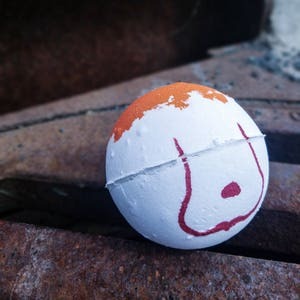 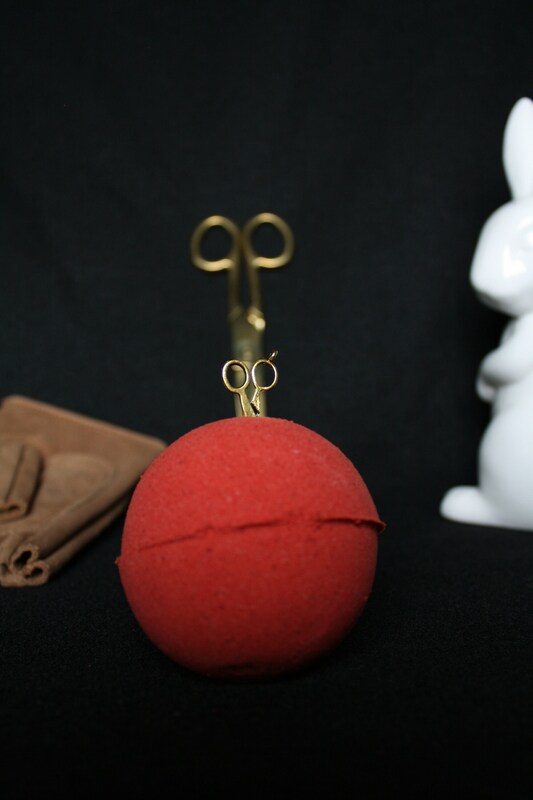 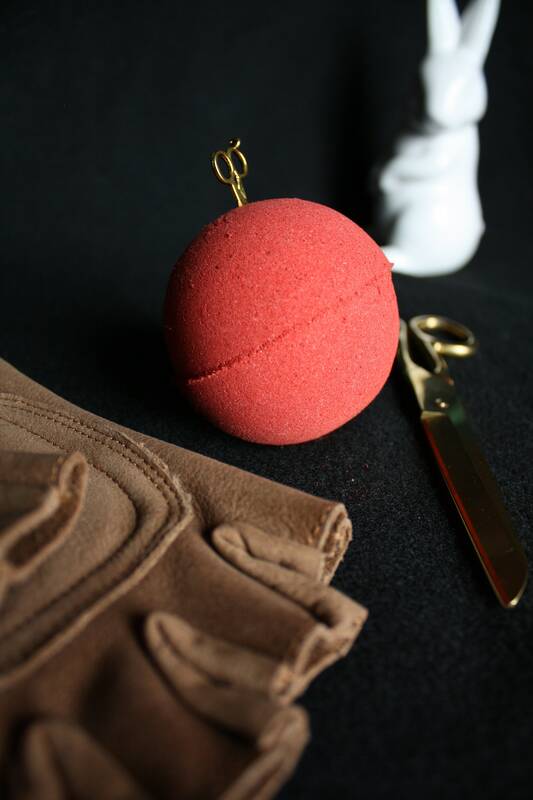 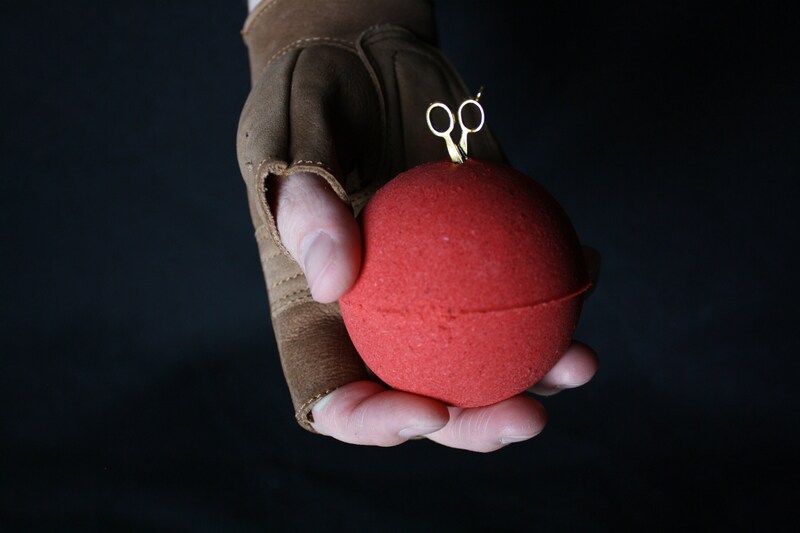 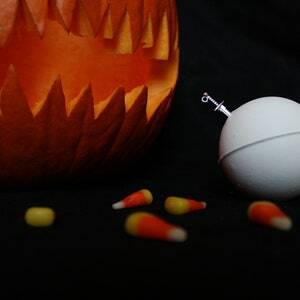 Inspired by the film "Us" by Jordan Peele, this The Tethered bath bomb will get you in the mood to fight your double. 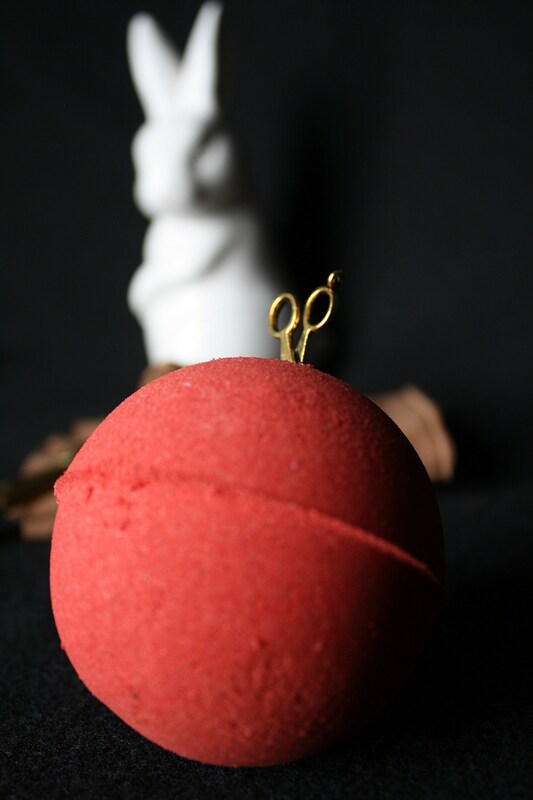 This all red bath bomb mimics the jumpsuits worn by the Tethered and creates a deep red tub that creates foaming swirls as it dissolves. 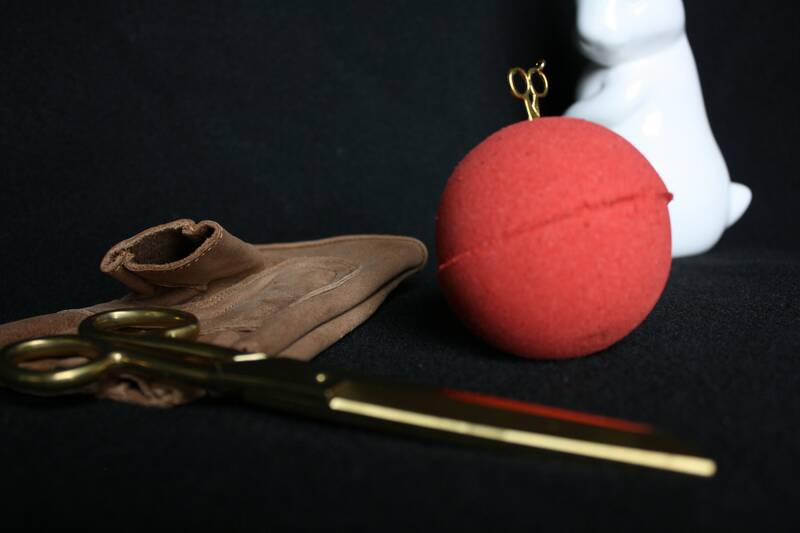 A small gold charm of scissors comes stabbed into it, the iconic weapon favored by the Tethered. 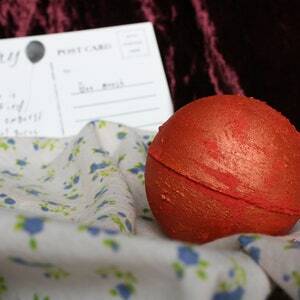 It is scented to smell like a candy apple that a young Adelaide gets while walking around the Boardwalk before her fateful encounter with her double. 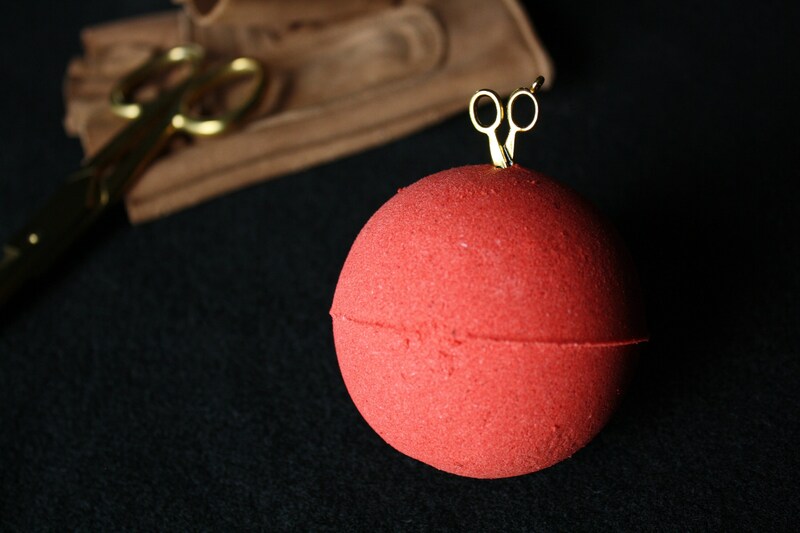 This listing is for a single item that is approximately 2.75" in diameter.